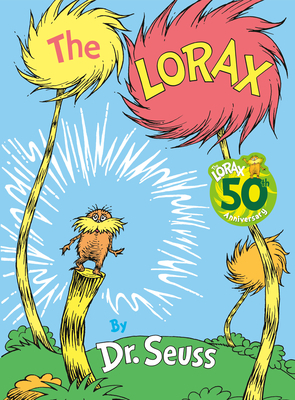 Celebrate Earth Day with Dr. Seuss and the Lorax in this classic picture book about protecting the environment! Dr. Seuss’s beloved story teaches kids to speak up and stand up for those who can’t. With a recycling-friendly “Go Green” message, The Lorax allows young readers to experience the beauty of the Truffula Trees and the danger of taking our earth for granted, all in a story that is timely, playful, and hopeful. The book’s final pages teach us that just one small seed, or one small child, can make a difference. Printed on recycled paper, this book is the perfect gift for Earth Day and for any child—or child at heart—who is interested in recycling, advocacy, and the environment, or just loves nature and playing outside. "The Lorax. . . has been a perennial favorite of kids and parents since it was published in 1971."